Tihar is right around the corner, but the festival of lights is not going to be a holiday for the Prajapatis of Bhaktapur. They are busy with their ancestral occupation of moulding clay to make earthen lamps called pala. This week, the courtyards and sidewalks of Bhaktapur are covered in clay lamps, soaked in coloured water, and drying in the sun until they can be fired. Das Ram Prajapati has been carrying on the profession of his forebears, and says proudly that his family sold 25,000 clay lamps last year, earning Rs 80,000. But even though modern LED garden lights from China have replaced earthen lamps in many households, the clay oil lamps are still regarded as auspicious for Laxmi Puja, Mha Puja and Bhai Tika, which fall between 7-10 Noati clan have started mass producing the lamps with a wheel machine, but the purists still stick to traditional manual chakra to produce potteries the old fashioned way. 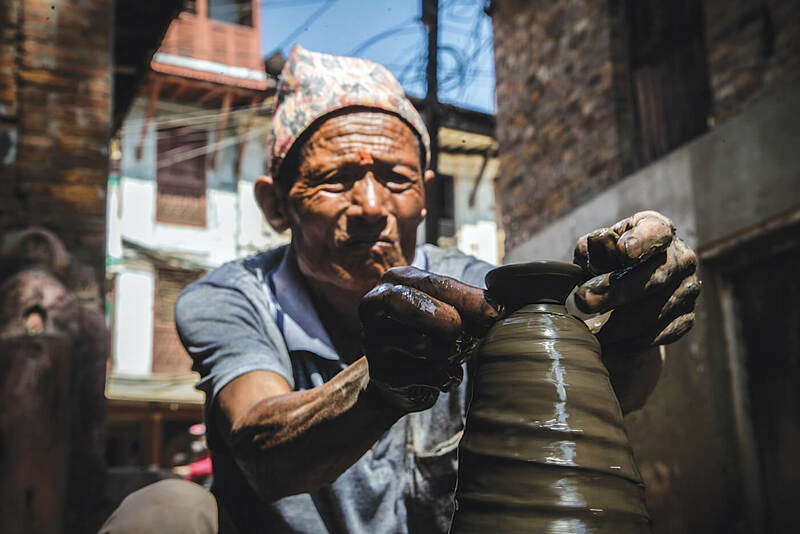 “I don’t feel good about using a machine to make pottery, my grandfather taught me to use the chakra when I was a boy and I still enjoy using it,” says 74-year-old Lalit Prajapati, the only person making pala the traditional way in the Talako area of Bhaktapur. His skill of turning a clay mould into beautiful pottery attracts tourists by the hundreds to Talako. “It is necessary to preserve our tradition, rather than going for mass production and money. We should not forget why we are making them in the first place,” he adds. What Lalit Prajapati is particularly worried about is that the young have gone abroad for education or jobs, or have taken up other professions. There is no next generation to carry on the tradition. Also, there is now a scarcity of the special black clay needed for making pottery because of the urban sprawl around Bhaktapur. Shiva Kumari Prajapati and her family traditionally sold pala in the markets of all three towns of the valley before Tihar. 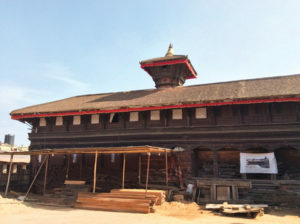 Residents of the Valley sought the Bhaktapur pala because they knew it was the best quality. 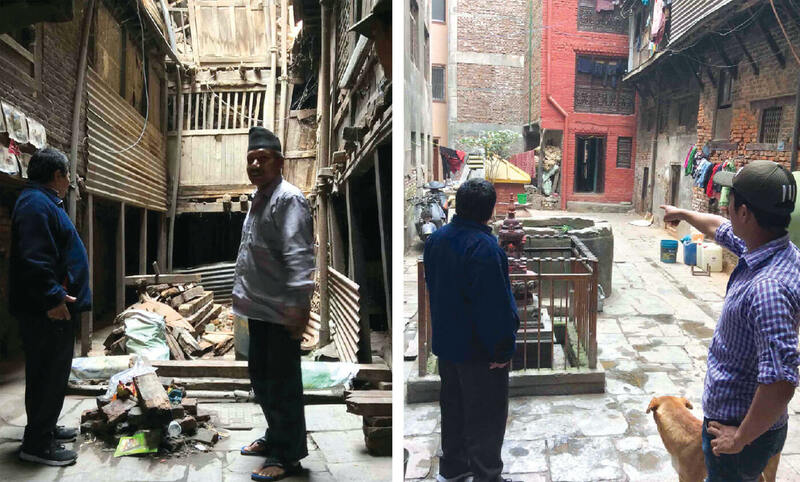 Dasa Ram Prajapati says pottery production shifted to Bhaktapur because Patan and Kathmandu ran out of proper clay. But now the concrete jungle has spread to Bhaktapur as well, houses stand over former clay pits. 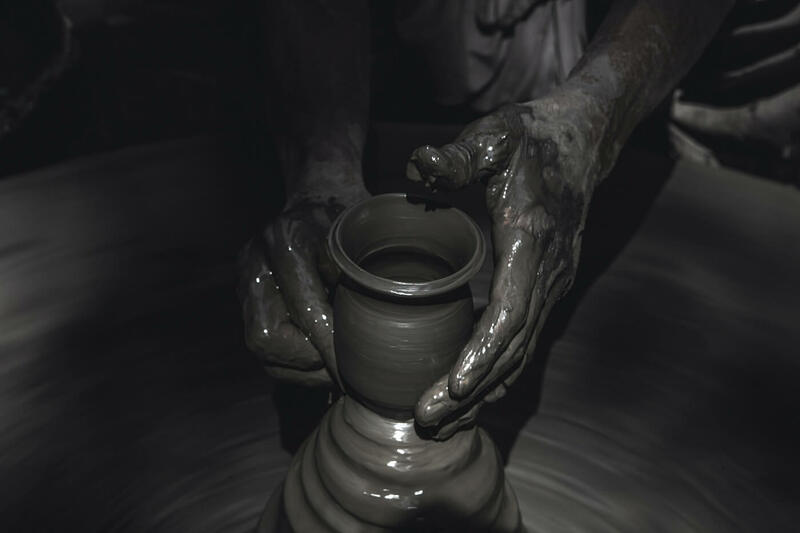 “I am using my two-year-old stockpile of black clay that I bought for Rs2,000 back then, it is much more expensive now,” he says. Nhuchhe Ram Prajapati sources his clay from Harisiddhi, from outside the Valley, or from someone who is building a tall house that need foundations deep enough to reach the black clay layer. Shumser Prajapati is the owner of Samrat Ceramics, and the only one from his generation to still be involved in the ancestral profession. He has been innovating with design and texture of his clay products. “I see it more as an art than a profession,” says Shumsher, who sells double the number of earthen lamps in Tihar compared to the rest of the year. His pala have better designs and finish, and now come with inbuilt wax and wick already attached. He has also started making scented lamps with wax of different colours. His son Samrat takes the lamps to the Asan market in Kathmandu every morning in a van. The father and son say their greatest problem now is to find suitable clay, not buyers.